The rain let up just in time to give riders clear sailing on the 8-mile course bordering the Schuylkill River. Cuban import, Damian Lopez Alfonzo (www.gofundme.com/damianlopezalfonzo), posted the best time among the men's physical disability field for the 2nd week in a row. 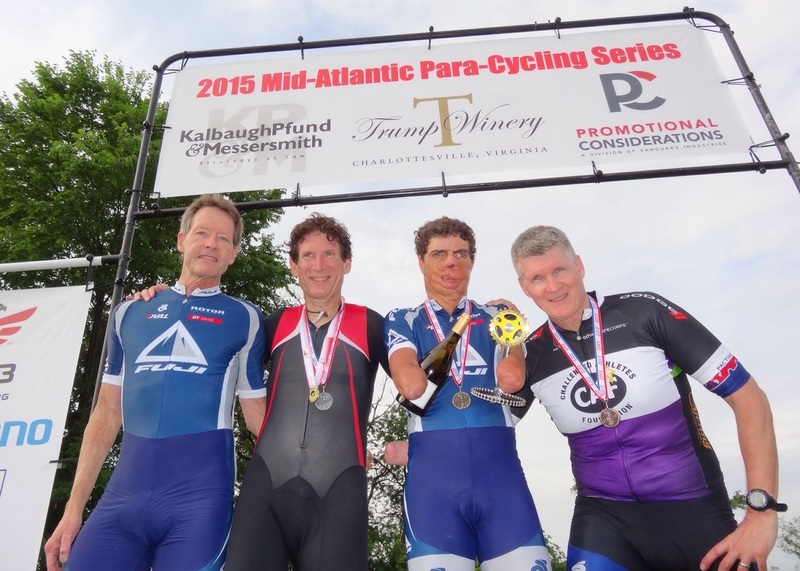 Local power-house, Brian Wacik, took home the Gold in the Pennsylvania Para-Cycling Time Trial Championship. 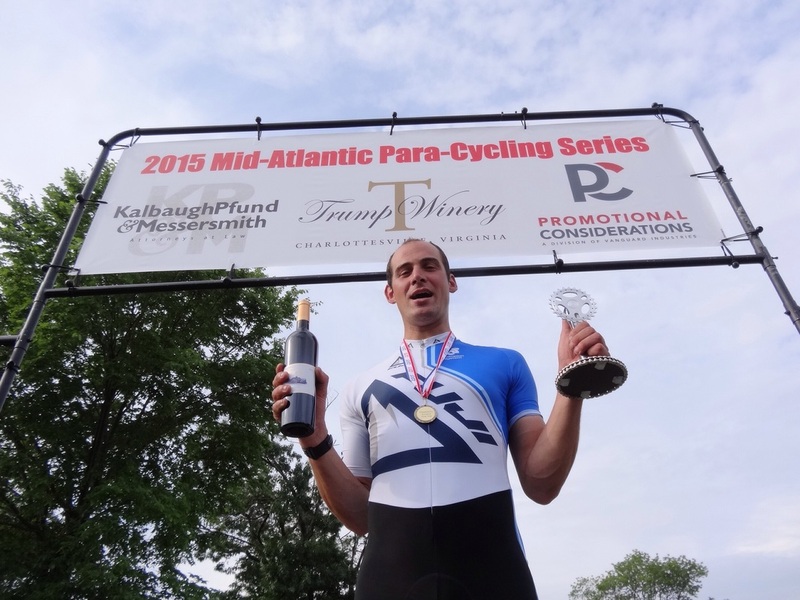 Syd Lea also rode a very quick time in the Men's Open disability category, scoring a nice bottle of Trump red wine to share with Mom. Special thanks to Dave Casale and his merry band of teammates in Tri-State-Velo, for putting on a first class event and hosting the para-cyclists for the 2nd time. 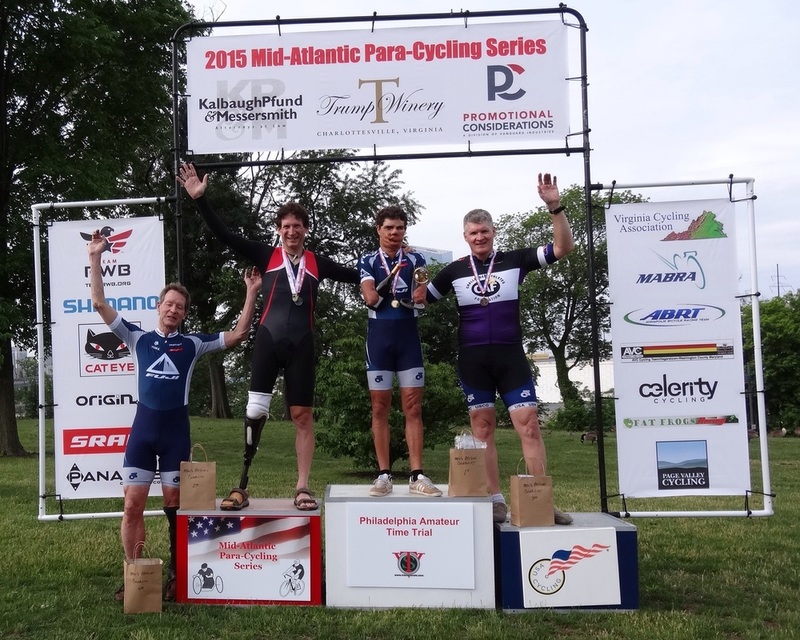 Also, a big thanks to our sponsors, Kalbaugh Pfund & Messersmith, Trump Winery and Promotional Considerations; and to our new race supporters Team Red-White-Blue, Shimano, Cateye, Origin8 and Panache Cyclewear.